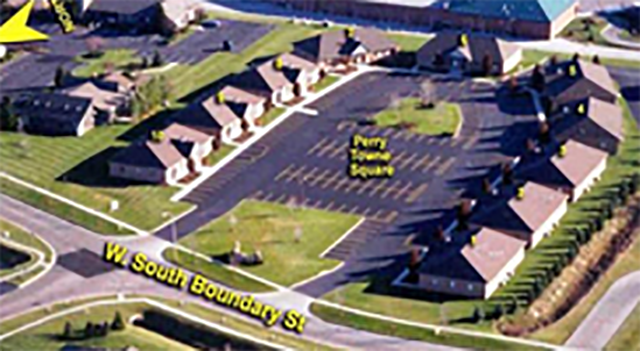 We are located at Perry Town Square Building, Behind Churchill's, off of W. South Boundary. The Building is the 4th Complex on your left once you make the turn on W. South Boundary. We are Suite A, the first Suite on your right with a door sign that says "Toledo Allergy". To get to our office from the highway US-23/ I 475. Take exit OH-25 (exit 2) towards Perrysburg. Turn left (north) onto N Dixie Hwy. Turn left onto West South Boundary Street (there is a remax on the corner). Take the first right on to commerce drive. Take commerce all the way to the end of the cul-de-sac . We share an office with Mitchell Dermatology Suite 100.